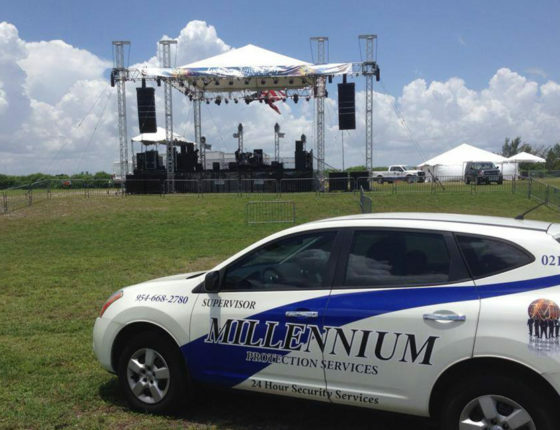 Our company, Millennium Protection Services, is the security service Davie, FL individuals and businesses can count on for quality, reliable security guards. We have over two decades of experience in the security service industry, and our business is built around the people that we have on our staff. Many of our armed guards and unarmed guards are former law enforcement officers, and we also have security guards who are military veterans. These people are used to sensitive situations, and they have shouldered a great deal of responsibility throughout their professional careers. When you work with our company, you will be dealing with passionate people who are serious about protection. We are a comprehensive Davie, Florida security company, so we offer a wide range of security services. One area of our business is the personal protection facet. Our armed guards can be assigned to protect people who have personal security needs. Individuals like high-ranking corporate executives, entertainers, other types of celebrities, politicians, and others can go forward with total peace of mind when they engage our security service to provide personal protection. Event security is another area that we specialize in, and there is no job that is too large or small for our company. We can assign security guards to local special events like parties, weddings, bar mitzvahs, etc., and they can also provide concierge services. At the same time, we can provide special event security for large gatherings like sporting events, concerts, festivals, and rallies. If you are looking for security patrol services in Davie, FL, we have you covered. Our armed guards or unarmed guards can be dispatched to keep your apartment complex, shopping mall, construction site, or any other facility safe and sound seven days a week, 24 hours a day, 365 days a year. The work that our security guards provide in the field is obviously something that we take very seriously. However, when you work with Millennium Protection Services, the extraordinary customer service starts from the first moment that you speak with one of our specialists on the phone. We will answer all of your questions thoroughly and guide you toward the appropriate security solution. If you would like to speak with one of our Davie, FL security service specialists right now, our local number is 954-668-2780, and we can also be reached toll-free at 800-493-0806.